El Ejido has announced that it will not put up any Christmas decorations this year in an attempt to save 140,000€. The cuts are part of a huge cutback in city decorations, in which the City will save 500,000€ a year. The blame has been put squarely on the debts run up by Juan Enciso during his 20 years in office. 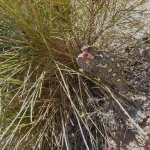 This entry was posted in Blog and tagged christmas, el ejido by David. Bookmark the permalink. ← Previous Previous post: So just wait awaits our health service?